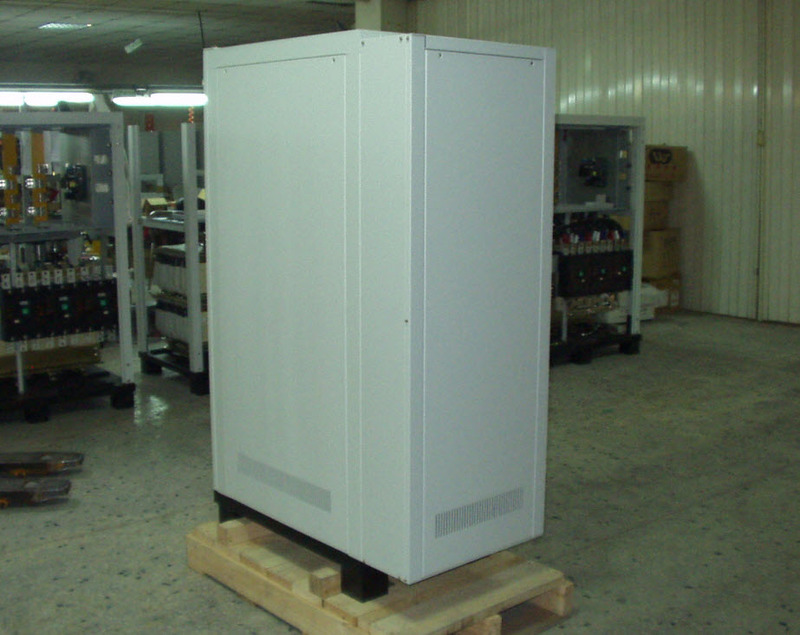 Power line conditioners and isolators can be made in either rotary or solid state construction. In typical rotary construction, an insulated coupling is used to connect the drive motor shaft to the generator shaft. In isolation applications, electrical insulators are placed between the motor and generator feet and the steel base, to completely isolate the power from the ground. In solid state construction, the input and output are galvanically isolated. Galvanic isolation is a principle of isolating functional sections of electrical devices to prevent current flow; no direct conduction path is permitted. A transformer is the simplest example, with that type of isolation incorporated into solid state devices. Complete isolation between the load and input power. Power line isolators ratings: up through 500 KVA. Rotary units maintain approx. 100 milliseconds of ride-through during power outages. Can be supplied with phase conversion, e.g. 3 phase IN to single phase OUT. Can be supplied with voltage conversion, e.g. 480 volts IN to 230 volts out.